This entry was posted in Life and tagged Courage, Earth, Faith, Family, Hope, Hurricane, Life, Mexico, Peace, Relationships, Resilience, Safety, Storm, Strength. Lovely sentiments about resilience, Seyi. Happy belated birthday to you, my friend and fellow Libra. Forty was my favorite year. Enjoy every moment while its here. Thanks for your kind comment Lori. Glad you’re a Libra too, I intend to enjoy my . Do have a wonderful weekend my friend! The Palms are amazing. Happy belated birthday, Seyi! The forties are great, but I must say, after turning 50 in July…it rocks! Praying for the people in Mexico. Thanks Jill. I hope to enjoy my fortieth, I didn’t feel any different though. I hope you had a blast on your fiftieth? Appreciate your visit my friend, do enjoy your weekend. I think the brunt of Hurricane Patricia is easing now. Hopefully, everyone is safe. I pray for people of Mexico too. Thanks Mojisola, I’ll stay warm. I guess the storm is almost over in Mexico. Appreciate your visit. I will Marko, thanks for stopping by. Have a great weekend. We don’t have enough palm trees around here methinks, although I will keep an eye out for palm tree type people, all we can do is make the best of things and keep getting up, it’s just life! Happy birthday my friend, I hope that you were able to find some time to celebrate properly. Neither have I seen one in London. The only thing you see are overpriced buildings out of the reach of the hardworking poor. Thanks for your visit my friend. I celebrated with family and few friends, I’m not the loud party time, a bit conservative I think. Take care of yourself and chat with you again soon. Thanks Rachel, my children believes I’m slightly old now. One thing I know is that time flies by quickly. My warm regards to your dad. Do have a lovely weekend! Happy belated birthday Seyi. I hope you threw a great party. 40 is a great number, expecting great things from you. See you soon. I had a quite birthday, nothing ostentatious just friends and family gathered around the dining table. It was cosy and just what I wanted. Thanks for stopping by Christy. See you soon. I love the post and R Kelly is one of my favourite singers. Praying for the people of Mexico too. Stay warm and have a wonderful weekend! Appreciate your kind comment Christy. I think the storm is losing power, I believe people are safe too. Enjoy the rest of your weekend my friend. Palms are amazing trees. And miracles do happen. Great post, Seyi. Being in your 40’s is great– if I remember correctly, ha– You’re young enough to do whatever you want, look good and yet have the wisdom you might have needed in your 20″s. Enjoy and you don’t look at day over 25. They are Dannie. Apologies for my late reply; with the kids on half term break, it’s hard sitting down and getting any work done. I really appreciate your kind comment. Do enjoy the rest of your weekend my friend! Oh Sherri, I’ve missed you so much too. I’m so sorry for just replying now. I had relatives over for the half term break, my house was in a constant state of noise. Loved them but I couldn’t sit down for a second, had to be on my feet every minute of the day. I’m glad you’re back, I’ll be at yours soon. My kids believed I’m so old now but I honestly don’t feel any different. I hope your weekend would be filled with love and laughter. Chat with you soon at yours. Thanks for your kind and gracious reply Sherri. Hectic was the perfect word for the past few weeks. Thankfully, they’re back in school now and I gave myself a day off work to surf the internet and visit blogs and just unwind. Yeah! Autumn is here! I love cold weather when I don’t have flu though it makes getting out of bed harder. I’ll be heading over to yours now. Glad we’re friends Sherri, and one day soon, we’ll be sharing that cup of coffee together! Sincere apologies for my late reply Celestine. With the kids on half term break, my hands are full. You didn’t know the date of my birthday sis, not your fault. I appreciate your kind comment and do enjoy the rest of your weekend! God bless you always!! Yeah they’re resilient. Thanks for stopping by, appreciate it! I think if we put our minds to it, we can all be palm trees. We all have the ability to be so. Great post Seyi. I think so too Al. Glad to see you here my friend! Do have a wonderful week. I love the post, palm trees and all the wonderful things around me here on the Gulf Coast. Thanks Sherry! Glad you like my post. It’s been a while, how are you? You’re right, kid. 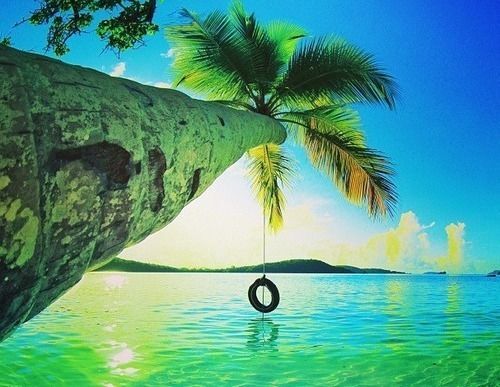 We all have our storms to weather, and we have to be resilient like the palm tree. I’m in financial hard times, being unemployed and being 58. Fortunately, I can pass for late 40s, but a permanent job is tough to find. I also lost my beautiful dog of 8 1/2 years about two months ago, and I’m still not over her. It’s put me in a funk, but I know I have too many people counting on me to let it get the better of me. Thank you so much for your kindness my friend. I’m so sorry about your predicament, I hope things would improve soon. If we lose hope, mystery would abound, keep working towards your goal and I’m positive you’ll get a new job soon. I’m also sorry about your dog, a close friend lost her dog of three years a few weeks back and I knew how hard it could be. Chin up and cheer up my friend, your dog would want you to live on happily with the memories you’d shared together. Thanks, I’ll enjoy life. I appreciate your visit and comment.